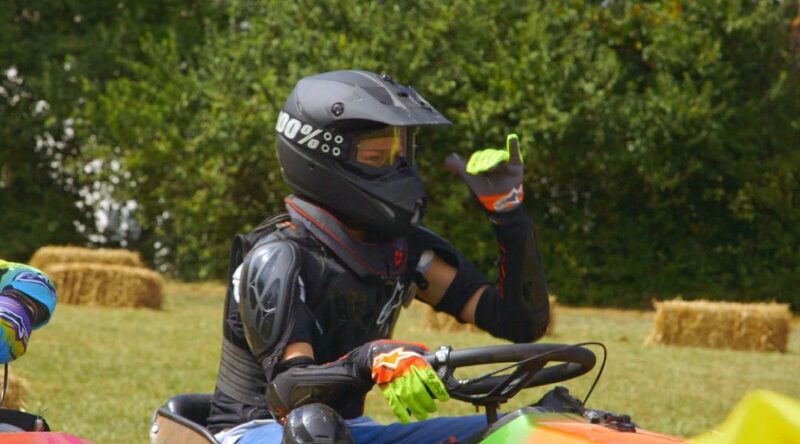 This Sunday, January 29th at 8:30pm EST Jagger Eaton, star of Nickelodeon’s Jagger Eaton’s Mega Life tries his hand in lawn mower racing! As the youngest ever X Games competitor, Jagger Eaton knows what it’s like to live life to the fullest! Which is probably why Nickelodeon gave him his own show to highlight his adventures. Don’t let the extreme tricks and big trophies fool you—Jagger’s just an ordinary kid living an extraordinary life, always trying to learn more and go bigger. Follow his newest and greatest adventure as he skates the world looking for people who are the absolute best at what they do, all while performing unbelievable feats along the way. Whether in skateboarding or real life, Jagger knows to go big or go home!